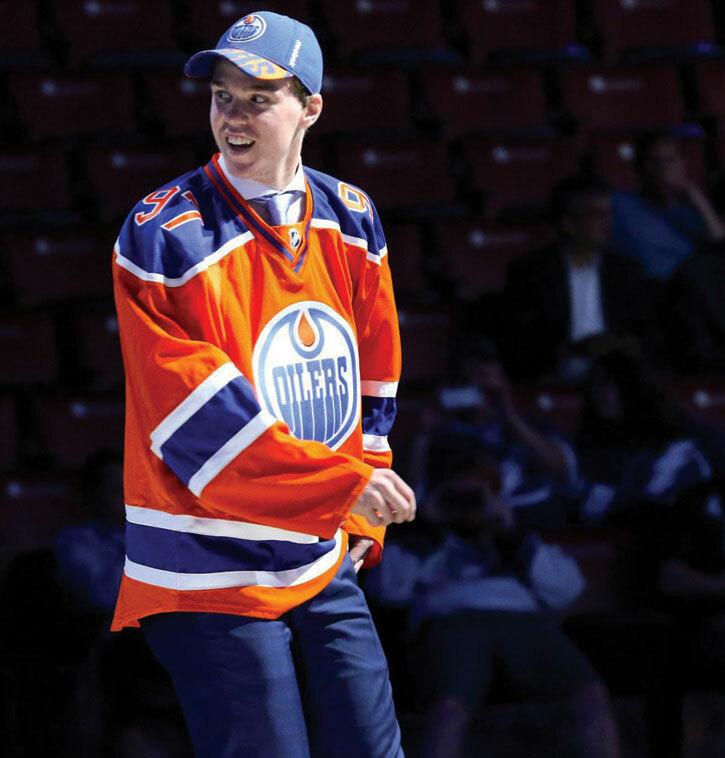 Connor McDavid is back and better than ever but is it enough? Connor McDavid has finally returned from injury and has revitalized a stagnant Edmonton Oilers hockey club. The superstar rookie only played in 13 games before suffering a broken clavicle against the Philadelphia Flyers on Nov. 3. The injury kept him out of action for three months. The Oilers were looking like they were going to stay competitive with McDavid in the lineup but they still struggled. The team had a record of 5-8-0 but they lost all their momentum when he went down. Their record before McDavid’s return was 19-26-5. It will be very tough for the Oilers to make the playoffs this season even with the return of McDavid. McDavid scored three points in his first game against the Columbus Blue Jackets including a highlight reel goal. McDavid split the Bluejackets defenders before deking goaltender Joonas Korpisalo out of his jockstrap. “Wow. 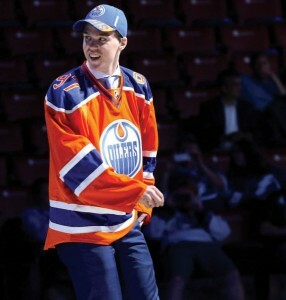 (He) set the tone for our team and our team followed,” said Oilers coach Todd McLellan after the game. He continued forward adding two assists in his next game when the Oilers thumped the Ottawa Senators 7-2. Both Ottawa and Columbus are considered weaker on defense making it easier for McDavid to have a successful night. Montreal gave Edmonton a lesson in humility defeating them 5-1 despite and prevented McDavid from scoring a single point. The powerplay became abysmal without McDavid. Sportsnet Stats tweeted that the Oilers only managed 14 goals in 37. With McDavid they have 14 goals in 15 games. General Managers and coaches are always nervous when athletes come back from long term injury. McDavid’s case is by no means unique. Patrick Kane of the Chicago Blackhawks suffered a similar injury in 2015 and came back to help his team win the Stanley Cup. The Montreal Canadians started the season 10-2-0 with defending MVP goaltender Carey Price manning the pipes. Price suffered a lower body injury on Nov. 25. The Canadians have since fallen to 24-24-4 and out of a playoff spot with doctors being unsure exactly when Price will return. However, sometimes an injury opens up space for other players to step up. Last year when Flames Captain Mark Giordano went down with a torn bicep tendon many in the hockey world thought the Flames would fall out of playoff contention. The Flames proved everyone wrong and not only made the playoffs but defeated the Vancouver Canucks in six games. They eventually lost in the second round to the Anaheim Ducks but they proved they could play at a high level without their best player and captain. An injury to a star player can mean the end of the world for a hockey team. But it can also represent a huge opportunity for others. The Oilers will be better with “McJesus” but making the playoffs seems unlikely at this point. Miracles do happen though.